You can register your complaints to Etisalat using customer care number 101. Dial 101 from any Etisalat number. Be sure you have username/account number/ full name of service owner (in case of internet). You can also use social media like Facebook and Twitter or email for complaint registration. 101 is facilitated with IVR service which redirects the customer to the correct department to register your complaint. Etisalat always wants to run their business smoothly and gather more and more happy customers. make sure there is no fault from your side, otherwise they will charge 50 - 100 Dirham charges. you are calling from Etisalat landline or Mobile SIM to avoid calling charges. When you call 101 you should properly respond to IVR system to redirect yourself to proper department. When you got the CSR, give him/her your account number, give him/her time to go through your details in their computer. CSR will ask your full name to verify you are the correct person. Now explain your problem to CSR, let them handle your problem first. Be cool and passionate, follow CSR instructions and answer him/her properly. Never argue with CSR, never speak rude to him/her. If problem is not solved, just request them to send technician to the home or ask for appropriate method to solve the issue. Never confuse them with too many detailing. They will tell you if there is fault from your side, you will be charged 50-100 dirham or reasonable amount. If you need compensation on billing, cancellation of service etc ..... visit Etisalat business centers but inform to 101 CSR. If technician visit is necessary, they will send according to your time ease and within 2 working days. Etisalat technician is in my home, what to do ? Welcome technician to your home if you have reasonable/sufficient time to provide him/her. Otherwise provide him appropriate appointment. Don't ever let the technician to wait you for more than 20 minutes, otherwise he will attend another customer to finish the papers in his hands. Nowadays you can reschedule the visit also. Explain them your problem whether it is first time or repeated. There is no need to show rude or very loyal-like attitude, speak with a smile to inspire them. Never pay on site, if there are chargeable amount they will be added in your bill. If the technician is asking money from you, call 101 or his supervisor for inquiries. If the problem is not solved on same day, request the technician to call for backup from his supervisor or friends. Talk to his the supervisor or team leader if needed. Request them to sort out and solve the problem. 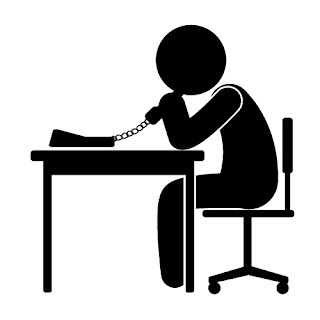 If technician is closing your complaints without solving it, you should visit nearest main Business center and try to find a person who is the (CST in short) controller/area supervisor - technical to explain the issues. www.etisalat.ae or contact our Customer Care Centre on free number 101.